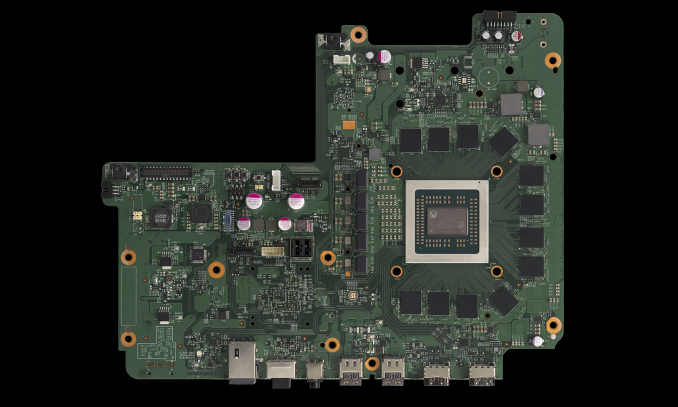 Over the last several months, Microsoft has been trickling out details about their mid-generation hardware update for the Xbox One console, which has been going under the name Project Scorpio. Now at this year’s E3 conference, the company is releasing the final details. We now have a name, a launch date, and perhaps most importantly, a price. 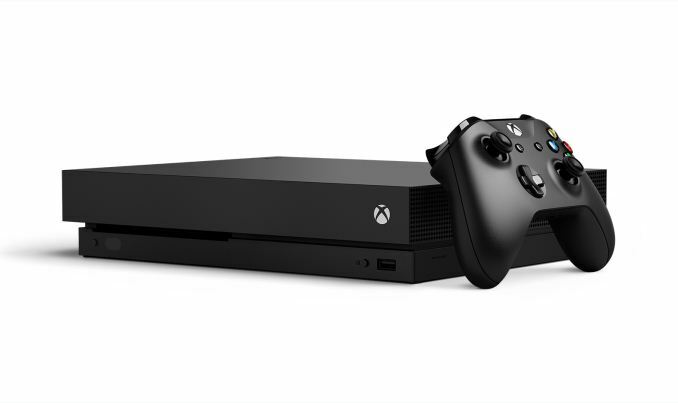 Hitting the streets on November 7th will be the new Xbox One X, which is Microsoft’s retail name for the console. (ed: I’m convinced MS is trying to keep us from writing their console names in short-hand) It will be priced at $499 in the US and equivalent prices in other regions, which is the same price as the original Xbox One (with the Kinect) at its launch back in 2013. On a relative basis, this stacks up as being twice the cost of the Xbox One S, whose base model (and now bundles as well) has been $249 for a while now. As far as the hardware itself goes, thanks to Microsoft’s ongoing campaign, we already know the bulk of the details of the console. The 16nm SoC at the heart of the new Xbox One design is meant to be significantly more powerful than the original and S versions of the Xbox One, vaulting MS from having the least powerful console to the most powerful console. All told, the Xbox One X will offer almost 4.3x the GPU compute throughput of the Xbox One S, while the CPU cores have received a healthy 31% clockspeed boost (Interesting aside: Microsoft is still not calling it Jaguar, unlike the XB1/XB1S). The memory feeding the beast has also gotten a great deal faster as well, with Microsoft switching out their 8GB of DDR3 for a large and very fast 12GB of GDDR5, which has a combined memory bandwidth of 326GB/sec. Meanwhile the only real details we didn’t have on the console itself, such as the size, have been answered. Microsoft is going for a super slim design on the console, announcing that it’s the “smallest Xbox ever”, placing it below even the already slimmed-down Xbox One S. At 300mm x 240mm x 60mm, the console is 5mm wider and 10mm deeper than the Xbox One S, but it's 5mm shorter than said console. Or to put things in terms of volume, it's 98% the volume of the Xbox One S, indeed making it smaller, though just slightly so. Otherwise, Microsoft has largely confirmed that the Xbox One X will function as you’d expect as a mid-cycle console upgrade, similar to the Xbox One S. Existing games will benefit from the more powerful hardware, though to what degree is apparently going to depend on the game. For games that are fully Xbox One X enabled, Microsoft is targeting a 4K (3840x2160) resolution, and will offer downsampling for improved quality when hooked up to 1080p TVs. 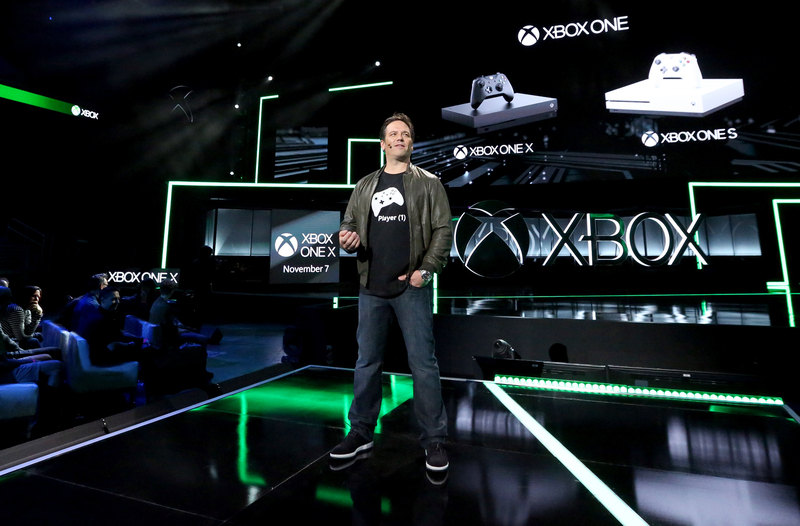 And all of the existing Xbox One ecosystem accessories will work as well. "X-Bone X" rolls off the tongue, I think.